January 12, 2010 - Aviation pilots who have used Loran-C, LOng RAnge Navigation for many years will find that on February 8, 2010, the low radio transmitters will not be in operation. LORAN-C was originally developed to provide radio navigation service for U.S. coastal waters & was later expanded to include complete coverage of the continental U.S. as well as most of Alaska. Twenty-four U.S. LORAN-C stations work in partnership with Canadian and Russian stations to provide coverage in Canadian waters and in the Bering Sea. They system provides better than 0.25 nautical mile absolute accuracy for suitably equipped users within the published areas. and provides navigation, location, and timing services for both civil and military air, land and marine users. It is approved as an en route supplemental air navigation system for both Instrument Flight Rule (IFR) and Visual Flight Rule (VFR) operations. The LORAN-C system serves the 48 continental states, their coastal areas, and parts of Alaska. 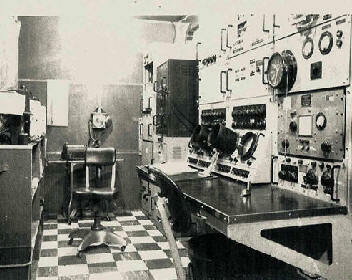 Dedicated Coast Guard men and women have done an excellent job running and maintaining the LORAN-C signal for 52 years. It is a service and mission of which the entire Coast Guard can be proud. The Coast Guard published a Federal Register notice on Jan. 7, 2010, regarding its intention to terminate transmission of the LORAN-C signal Feb. 8, 2010. A LORAN Programmatic Environmental Impact Statement Record of Decision stating that the environmentally preferred alternative is to decommission the LORAN-C Program and terminate the North American LORAN-C signal was published in the Federal Register on Jan. 7, 2010. The Homeland Security Appropriations Act for Fiscal Year 2010 allowed for termination of the LORAN-C signal on January 4, 2010, after certification from the Commandant of the Coast Guard that it was not needed for maritime navigation and from the Secretary of DHS that it is not needed as a backup for GPS. Full details are contained in Section 559 of this act which can be found at the Government Printing Office website. In accordance with the DHS Appropriations Act, the U.S. Coast Guard will terminate the transmission of all U.S. LORAN-C signals effective 2000Z 08 Feb 2010. At that time, the U.S. LORAN-C signal will be unusable and permanently discontinued. This termination does not affect U.S. participation in the Russian American or Canadian LORAN-C chains. U.S. participation in these chains will continue in accordance with international agreements. The Canadian Coast Guard has also issued a statement, which is shown on their website. You may view the estimated remaining LORAN-C signal coverage areas of these international chains in Appendix B, pages B-6 through B-9 of the Specification of the LORAN-C Transmitted Signal, COMDTINST M16562.4A. The entire Specification may be downloaded also. The Coast Guard strongly urges mariners currently using LORAN-C for navigation to shift to a GPS navigation system and become familiar with its operation as soon as possible. Mariners will not be able to rely upon LORAN-C for navigation as of Feb. 8, 2010. LORAN-C has, as a result of technological advancements in the last 20 years, became an antiquated system no longer required by the armed forces, the transportation sector or the nation?s security interests and is used only by a small percentage of the population. The Coast Guard understands that LORAN-C is still used by a small segment of the public and that those users will have to shift to GPS or other systems; however, continued use of limited resources to operate LORAN-C is no longer prudent use of taxpayer funds and is not allowed under the 2010 DHS Appropriation Act. The Coast Guard has enjoyed a long and close relationship with the many communities located near LORAN-C facilities and we value those relationships. The Coast Guard will continue to honor those relationships by working to minimize any adverse impacts to communities caused by site closures. The decision to cease transmission of the LORAN-C signal reflects the president?s pledge to eliminate unnecessary federal programs.